Dedicated to raising awareness about geoengineering. Apologies to those of you who registered to the site earlier but did not have their accounts activated. We have sorted out the admin error and the new membership option now seems to be working fine; although those who did not have their accounts activated will have to re-register. Please note that activation for new members may take up to 24 hours. The Royal Society in the 2010 document titled “Experiment Earth? Report on a Public Dialogue on Geoengineering “asserts that “public attitudes towards geoengineering should be a critical factor in considering the future of geoengineering.” It is well known that agencies have been perfecting ways to manipulate the public for some decades; incidents such as the Gulf of Tonkin preceding the Vietnamese War, the Nayirah testimony and programs such as Operation Mockingbird only further demonstrate a willingness to induce the general public. Documentation detailing ways to better understand (and therefore control) public perception of geoengineering proposals are well recognised; including discussions, forums, information gathering, and networking between key stakeholders, all to determine the soundest ways to frame geoengineering programs when it finally comes time to inform the general public and begin the open implementation of said programs. The document Public understandingof solar radiation management [3.4. Conspiracy theories], details findings that include “2.6% of the subjects believe that it is completely true that the government has a secret program that uses airplanes to put harmful chemicals into the air, and 14% of the sample believes that this is partly true.” “Conspiracy Theory” is a disparaging term used to vilify and ridicule the very people it is used to describe. By examining responses to different terminology and by using focused terminology in documentation they are “no longer lucidly [expressing] the nature of things, but rather [obscuring] and [distorting] them” (Chilton, 2); below is another example of this, taken from the same document [4. Discussion]. The word supporter has a positive connotation, whilst the word detractor has a negative connotation; when you search both words often (as below) supporters and shown in green and detractors in red. Ultimately this conveys the message that supporters of geoengineering are more agreeable and those against or critical of geoengineering are defiant. This is further demonstrated when looking at the Cambridge Dictionary: synonyms, related words and phrases. 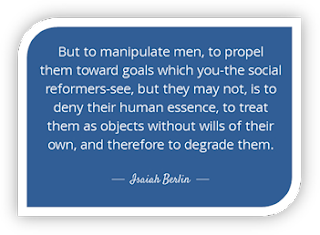 Nobody wants to be seen as opposition and many studies have determined that human beings do not like to be singled out, ostracized or socially rejected, this is a key component used to sway public opinion on the topic. Being labelled a conspiracy theorist or a ‘detractor’ will almost certainly influence whether or not people object to or consent to geoengineering. How widespread is public knowledge of geoengineering and SRM? How does the public perceive geoengineering and SRM? How the seriousness of climate change affects individuals views on geoengineering? 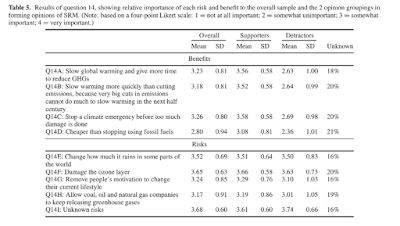 What are key areas of concern, perceived trade-offs and risks (table 5 below)? I.e. what is the public more willing to accept. The role/opinions of specific groups/communities i.e. environmentalists, economists, media. Sales pitch: Geoengineering may be one possible response to climate change. Sales pitch: Using media and imagery to depict apocalyptic version of climate change. Sales pitch: Saying that it is accidental rather than intentional. Sales pitch: Because YOU won’t change YOUR ways and YOU pollute the planet with Co2 we have to geoengineer the planet to save it. One aspect of Geoengineering Activism that many people don’t realize and that we would like to highlight is Disinformation; both the amount of disinformation and the sheer number of disinformationists (aka trolls, shills) that dedicate untold hours to harassing activists, posting hoax information, and promoting disinformation, is astounding. – how to best deal with disinformationists when confronted by one. Who Is Helping The Geoengineers To Sell Geoengineering? The thing that many people do not realize is not only have they already been geoengineering the atmosphere for decades, but they have also been researching how to best market this to the public. As briefly discussed in the chapter ‘Psychology and Framing‘ (from the OpChemtrails Information Booklet), they have held many talks, meetings, surveys, panels etc to gauge how best to sway public perception and/or concerns about dumping tonnes of toxic substances into the atmosphere. For how long will academia, media, politicians continue making excuses? When will their constant state of ignorance and denial stop? What tactics we have seen from the geoengineering establishment so far. It’s cheap and easy – just no! Anyone who believes this has failed to see the big picture. Scariest of all is the small group of people driving this grand plan. Even they admit this will potentially be harmful to humans and the environment, however, they rationalize it by proclaiming that to not understand the science is ignorant, and that we need to understand the science ‘in case’ we are forced to use it. However, many people will argue this rational is exactly what gave us the atom bomb, biological terrorism and so on. This technology has the potential to cause global disruption to natural weather and climate systems, food sources, water sources and viable land, which will inevitably lead to global conflicts and power struggles. As this Harvard experiment will potentially affect Mexico, the notion of accountability and governance becomes even more important. This technology indiscriminately crosses boarders, so the complexity of regulation and administration alone will take decades to hash out and finalize. The scientists know this, yet, they continue with their crazy plans in haste, so blinded by personal beliefs that they have wrongly convinced themselves they are doing the right thing (just like the scientists who made the abomb). While the public, academia, media, and politicians debate the ifs and whens and hows of ‘future’ geoengineering programs, we are left with a sky that is already under direct assault by these white coat criminals. And, by Harvard Science portraying this as the first, large scale, outdoors geoengineering experiment they are intentionally averting public attention from the fact our sky is already laden with metals and chemicals directly linked to both military and commercial aircraft. Furthermore, given Trumps attitude towards ‘climate change’, one must wonder why on earth he would allow this experiment to take place? How much money is being put into our species adapting to the climate rather than trying to control it? Is this even about the climate, or is it more about control? After all, he who controls the weather controls the world. When you read the articles below, please keep in mind, the people advocating geoengineering technology have been studying public reaction and perception surrounding geoengineering for years. They know how to market things in a way that makes them seem appealing, even essential. And they know how to quell the publics very realistic fears.